At our Austin dental offices, we’d like to educate our patients on this dangerous disease during this Oral Cancer Awareness Month. When it’s caught early, Oral Cancer is highly treatable, that’s why we want to share some facts about it with you..
We know thinking about cancer is scary. But if it’s caught early, treatment can be very successful. This makes keeping regularly scheduled appointments at our dental offices in Austin extremely important. Routine visits are not only meant to deep clean and check for cavities, we also look for any signs of anything a bit more serious like oral cancer. Welcoming patients from Austin, Westlake,Cedar Park, and surrounding areas. 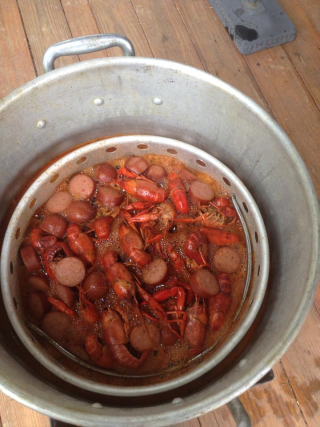 The Crawfish are readily available. Call your local HEB in Austin. 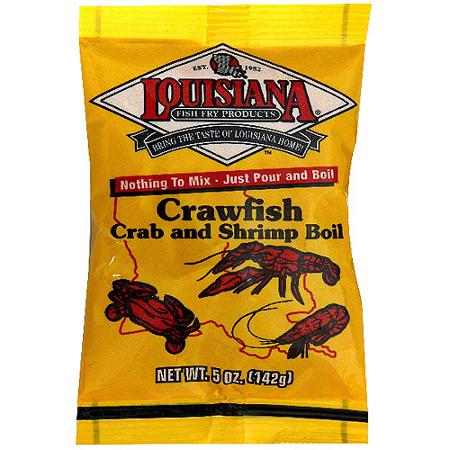 Our favorite seasoning is Louisiana Crawfish , Crab, and Shrimp Boil. 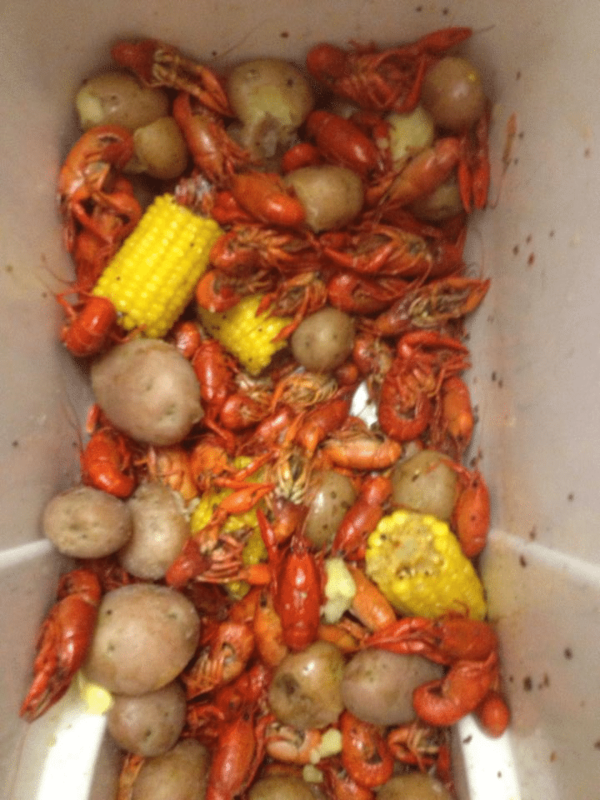 About 1 oz of this per lb of crawfish is the perfect amount of seasoning. To add additional spice sprinkle Tony Chachere’s Creole seasoning on them after they come out of the water. First it is a good idea to purge them in a salt water bath for about 15 minutes. Discard the ones that are floating. Rinse real well until water coming off them is clear. As soon as your water is at a rolling boil drop a batch in and boil for approx. 15 minutes with red potatoes.. We like to add corn on the cob, and Andouille sausage. Drop a whole artichoke in the boil for a delicious vegetable to add to the meal. Dump in a cooler and they will stay warm for hours while everyone enjoys this tasty “delicacy”. Now do you need to know how to eat them? Check out this video! Mid to late April is usually a great time to view wildflowers in Texas. 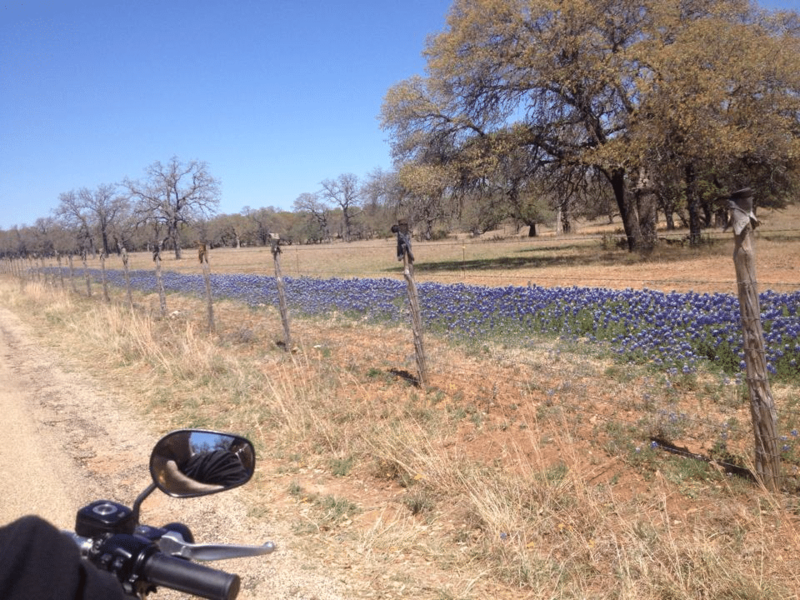 My husband Rick and I love to go riding the backroads in Texas on his Harley and view this beautiful countryside. 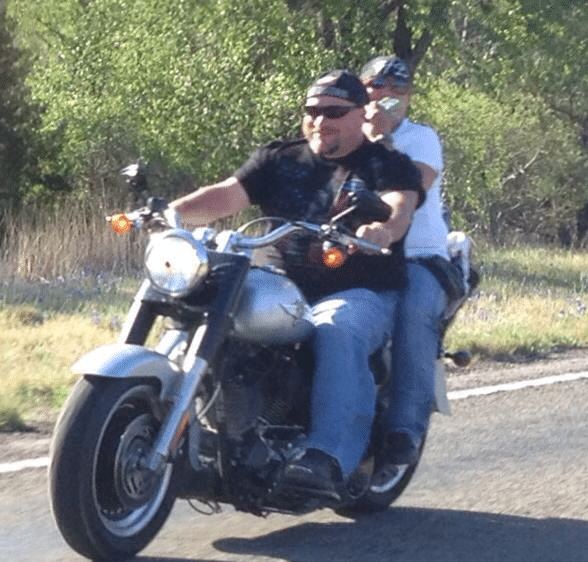 Willow City Loop is a great place to tour whether in a car on on a motorcycle. 13 miles through some of the oldest and most unique countryside. Bluebonnets, Indian Paintbrush, Phlox, Coreopsis, Mexican Poppies, Sunflowers, Firewheels, yellow and white Daisies, Winecups, Horsemint, and Verbena! are painted across miles of The Hill Country. Be warned that on a sunny Saturday or Sunday there will be many motorcycles on this route. The road is narrow and curvy ,but you need to go slow to take in the beauty. The Hill Country is absolutely beautiful. Knot in the Loop Saloon or Harry’s on the Loop are great places to stop and have a Hamburger and Cold Drink. There is lot of memorabilia on the walls to keep you entertained at Knot in the Loop Saloon, sort of a Wild West Museum! The Texas Hill Country is gorgeous. The motorcycles, bicycles, and convertibles are abundant this time of the year. Keep your eyes open for the cattle roaming the pastures and next to the road. All of the land is privately owned, but access is open to allow everyone to see the natural beauty Texas has to offer. Cavities are one of the most common dental concerns we hear about at our dental office in Austin. While worries about cavities are valid since they can lead to pain, sensitivity, and more serious oral health conditions, there are many beliefs behind cavities that just aren’t true. Gaps provide a great place for bacteria to hide. They’re also hard to reach and properly clean, leaving you more susceptible to cavities. However, larger gaps are much easier to clean than small gaps and aren’t as worrisome. 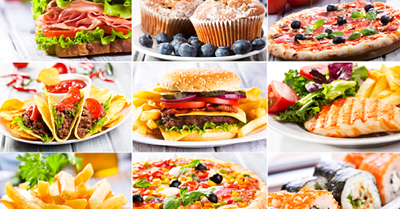 A few longstanding facts to protect your smile against cavities? Maintain regularly scheduled appointments at our Austin dental office, proper at-home oral care, and drink plenty of water. Don’t let cavities affect your grin. Call us today!